Hello friends! Today I have a family recipe for you. 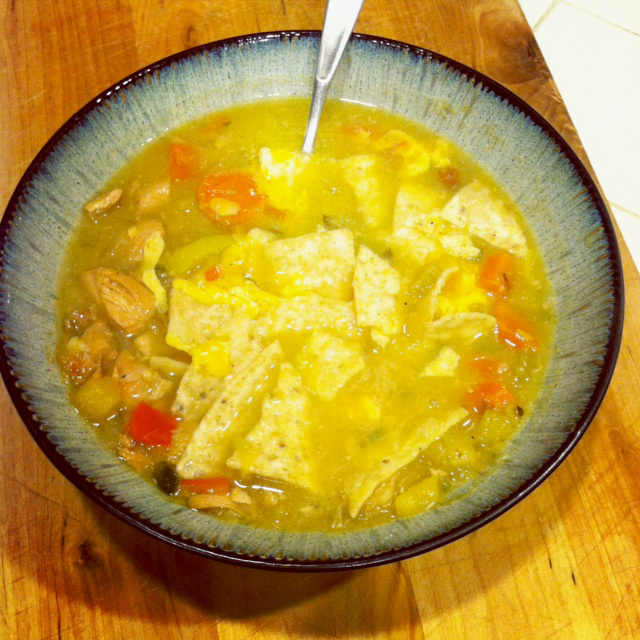 This is my grandma's (Mimi) chicken vegetable soup recipe! It is my favorite. There are some bugs going around out there, and while I was sick last week, my dad and I made a big batch of this soup. It heated me up and made me feel better! 2. Cut raw chicken breasts into pieces. *Note: You may need to add chicken broth to the soup, but this is completely up to you. We did not add any to the batch we most recently made because the chicken gave enough flavor, but you may want more. And there you have it! My Mimi's chicken soup. We love having this in the house because it lasts a while and is a quick lunch or dinner to reheat. Plus, all of the amounts of vegetables can be adjusted to what you are in the mood for or what you like. We just happen to like all of these vegetables, but feel free to omit or add any others you would like!